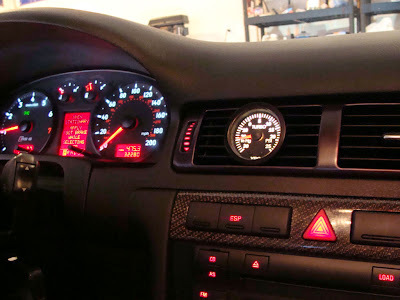 I've completed a custom install of a VDO boost gauge in my 2003 Audi RS-6. 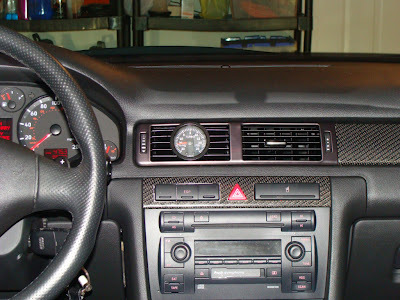 There are no pre-fabricated pods for the RS-6 so I had to fabricate and customize one of the dash vents to hold the gauge. 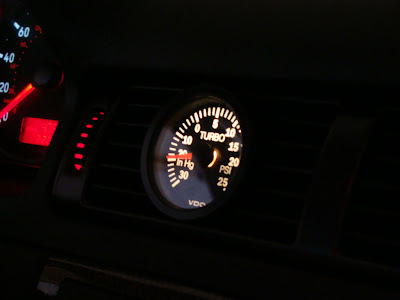 The install was time consuming, but it came out well and gives me a real time view of boost levels. I tapped the boost line into the vacuum hose between the fuel pressure regulator and the intake. 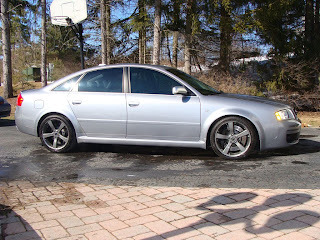 I had to get a bit creative on how to route the hoses to keep them from kinking. I also replaced all of the other vacuum lines since most looked pretty old and had visible cracks. 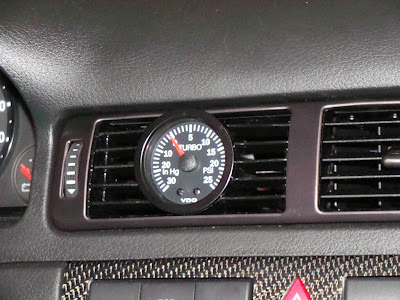 To install the VDO boost gauge in the vent, it took quite a bit of fabrication to use the factory directional vent vanes. They looked pretty rough during the fabrication, but it turned out fine.